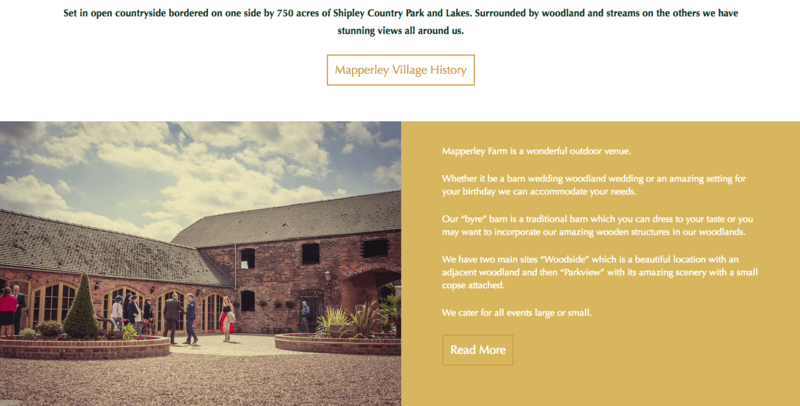 This month's website of the month goes to Mapperely Farm. Mapperley Farm has been a family run farm for 50 years. It started out as a dairy farm but now a beef and sheep farm run alongside the outdoor events, which have been hosted for the last 6 years. The website features a gold and white design, with an hints of forrest green and bursts of colour from the fantastic photographs. The website features text and boxes sliding in from the side, a changing header on the homepage and parallax panels throughout. 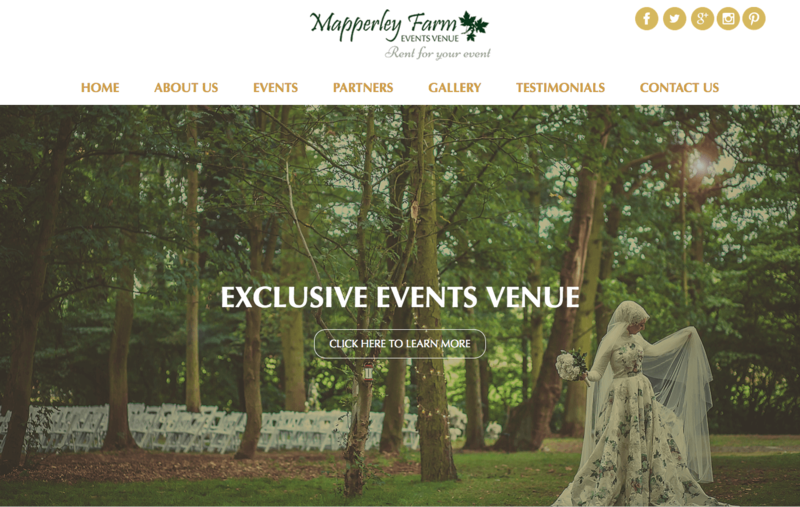 Many images of the beautiful grounds at Mapperley Farm are displayed across the site, as well as photos of the tepees and Events Venue itself. Mapperley Farm also have icons and graphics representing their services.